Different activities like yoga, pool and interactive sessions are designed throughout the week to spread awareness about the initiative. 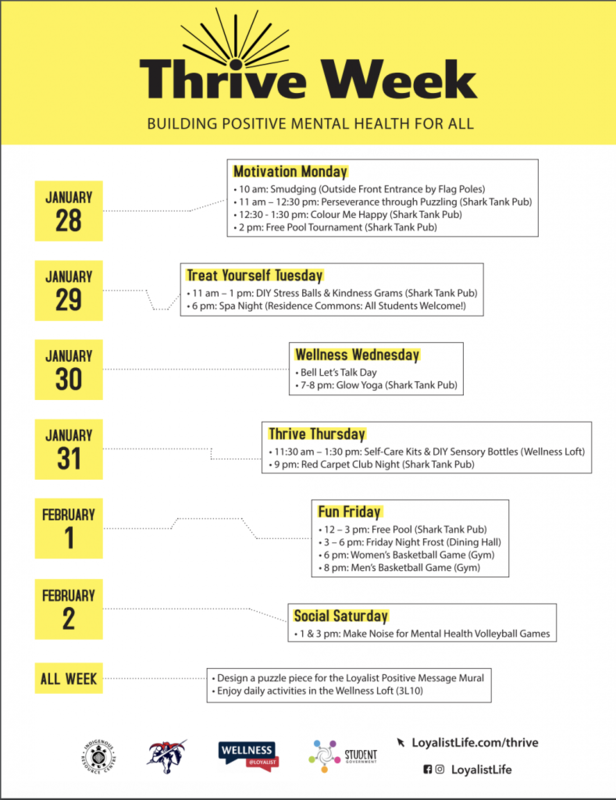 Tuesday in the Shark Tank pub, students will be able to make their own DIY stress ball and are also holding a kindness gram event. Bell Let’s Talk is a wide-reaching, multi-year program designed to break the silence around mental illness and support mental health all across Canada. Bell has run this initiative since 2010. It promotes awareness and action with a strategy built on 4 key pillars: fighting the stigma, improving access to care, supporting world-class research and leading by example in workplace mental health. More than $93 million has been donated towards mental health with the help of this program.